NVerzion adds convenience to its systems by separating router control from its machine control capabilities. EMC-Router manages all network-based router interfaces using a switch protocol that allows all applications to share a single interface. 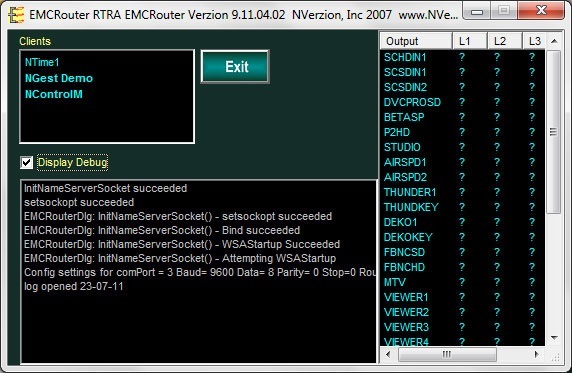 The EMC-Router GUI is designed to be used by NVerzion and customer engineering staff to check the status of the application, when needed, and requires little, if any, interaction with the end-user. Please see our detailed EMC Architecture page for more information.